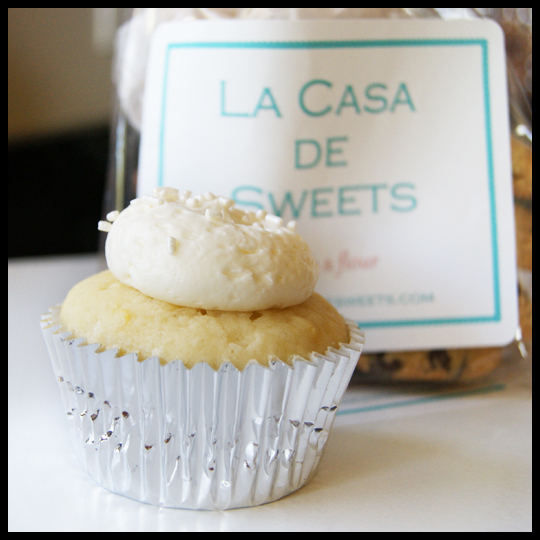 Everyone Wins with La Casa de Sweets! This year the Crusaders were unable to host a Bake Sale for No Kid Hungry like we did last year. 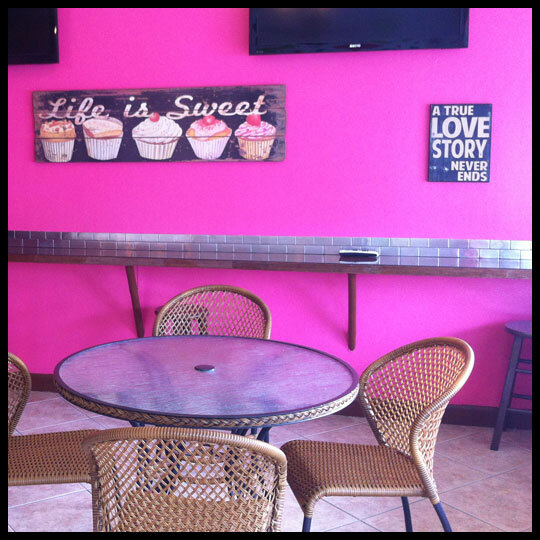 However we still wanted to help out Jackie, from La Casa de Sweets reach her goal. 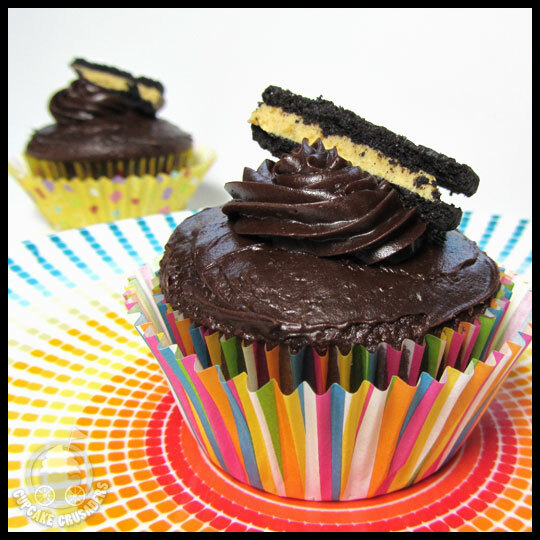 When she posted the menu for her pre-order bake sale, we couldn’t resist. First, a dozen cupcakes were only $20. Wow! Secondly, the flavors sounded amazing. I decided to throw a dozen cookies on top of my order, because those also sounded too good to pass up. I’m so glad I followed my instincts with these cookies. All of them were chewy! I’ve told Jackie before that it seems like magic when a baker makes a cookie that stays chewy for days. The Peanut Butter Oatmeal was gluten-free and I never would have guessed it. Neither did my daughter or husband who gobbled them up. The Fudgy Brownie cookies had a thin crunchy exterior, but were very soft on the inside and just melted in my mouth. And the Chewy Chocolate Chip cookies, which I first tried when Jackie donated a couple dozen to our Passionately Pink Bake Sale, were the most perfect chocolate chip cookies you could imagine. 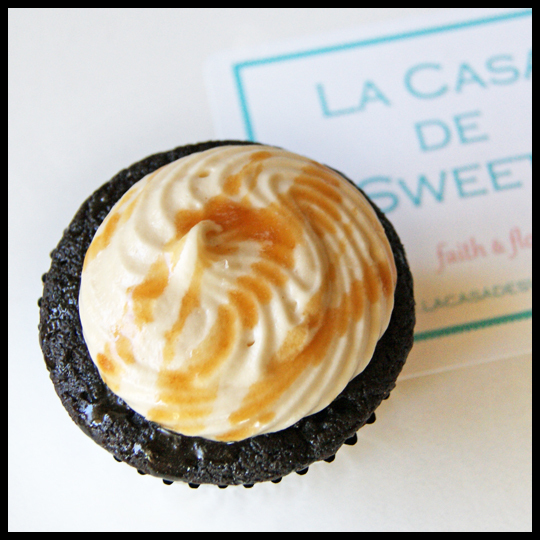 La Casa de Sweets’ cupcakes can all be summed up by a quote from my husband after trying the Chocolate Salted Caramel, “La Casa de Yum.” The chocolate cake was moist and even with a generous drizzle of caramel, the cupcake wasn’t overly sweet. For me, it was a harmonious balance of flavors. 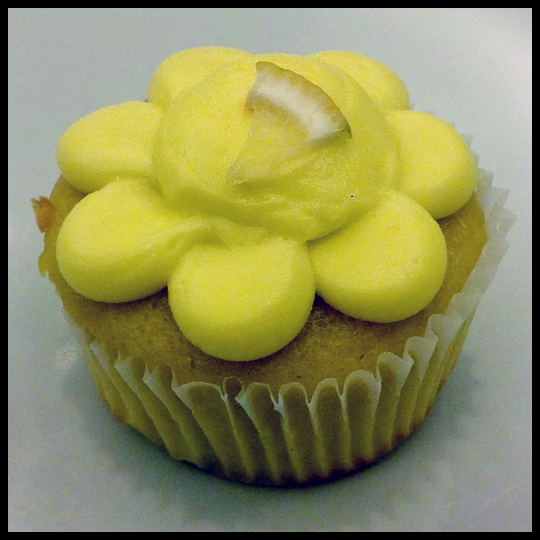 Have I mentioned before that I LOVE lemon cupcakes? 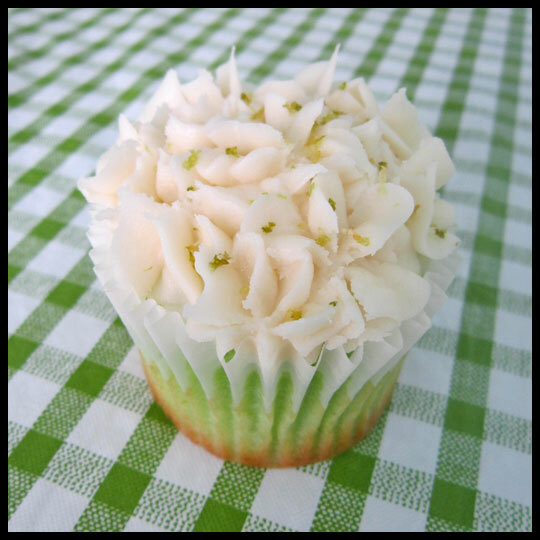 I’m sure I have, but if not, well…I LOVE lemon cupcakes. 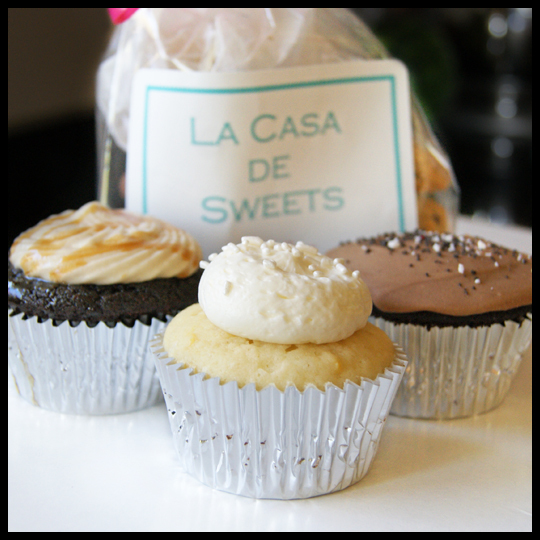 And La Casa de Sweets’ version sits at a high ranking. 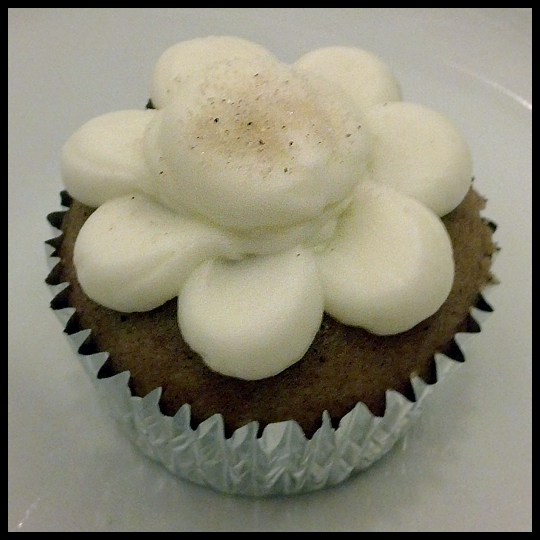 The cake on the Lemon Mascarpone cupcake was on the dense side, but not dry. I found the lemon flavor to be refreshing (not artificial), not overly sweet, and perfectly tart. 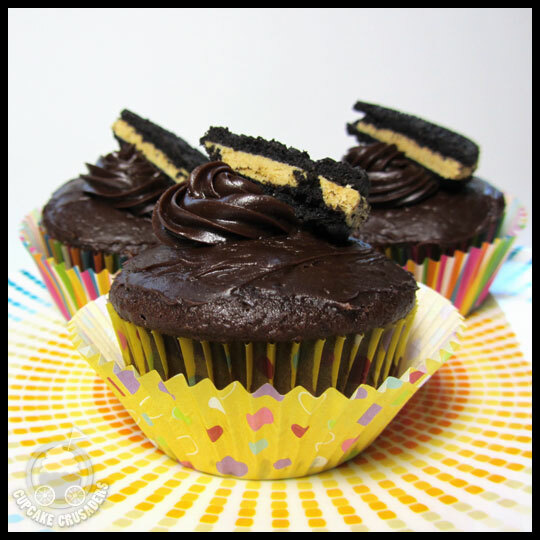 I have a secret about the last cupcake, Chocolate Peanut Butter: I didn’t tell my husband that it was egg and dairy free. He still doesn’t know (well, maybe now he does). Chocolate and peanut butter combinations are his favorite, so I wanted to get an unbiased review from him. All I got was a bunch of caveman like sounds, that resemble, “MmmHmmm.” With that, I’d have to say he was completely satisfied. 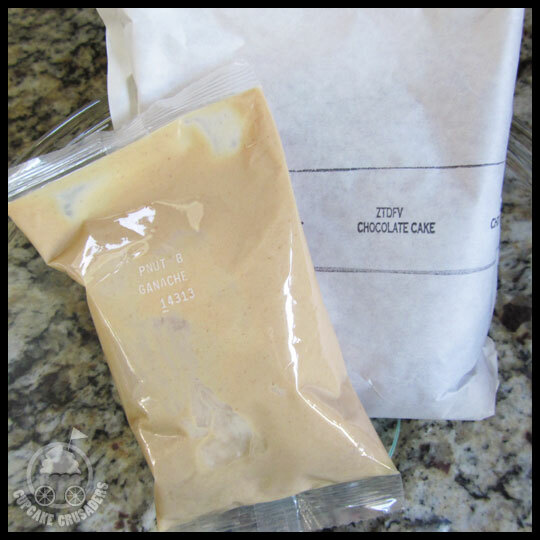 The chocolate peanut butter cake was more moist than the Chocolate Salted Caramel, which was hard to believe. 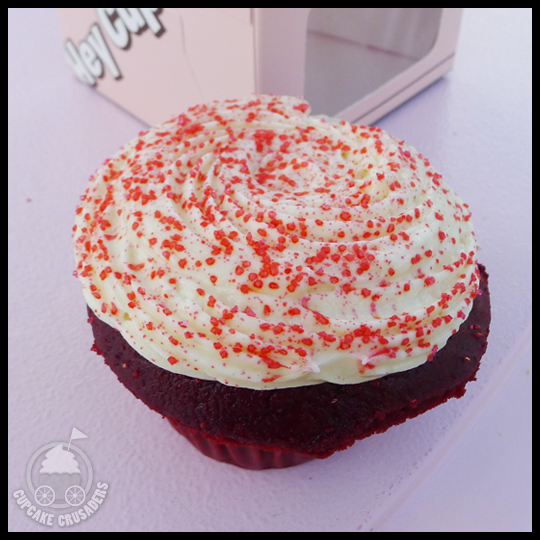 The cupcake was rich, decadent, and bursting with flavor, even though from its appearance it seemed like a simple cake with just a glaze on top. Even though I felt like I was the winner, with these cupcakes and cookies as my prize, La Casa de Sweets met their goal, raising over $1,000 in one week for No Kid Hungry, through bake sale purchases and donations. That’s amazing! It isn’t too late to donate. 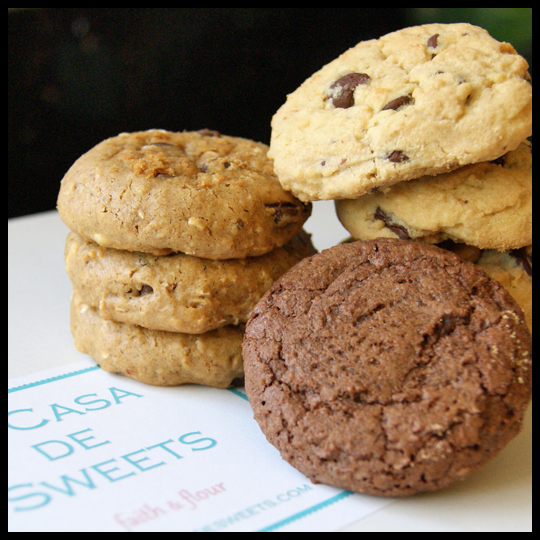 If you’d like to help out, please visit La Casa de Sweets’ donation page. Thanks! Everyone knows the story of the Tin Man and his yearning to “only have a heart.” Luckily for him, the Wonderful Wizard had everything under control in the land of Oz. 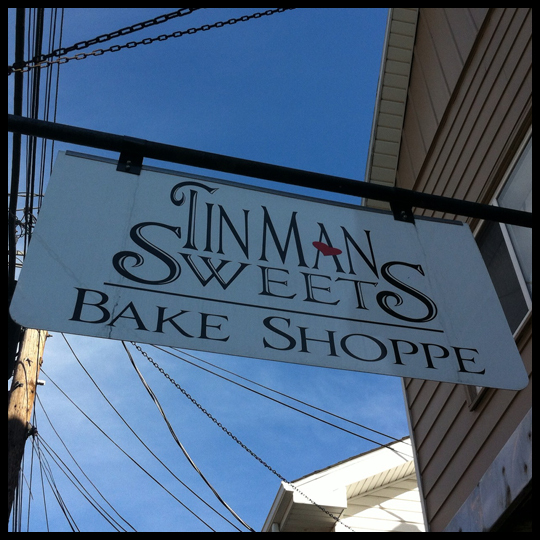 While Evans City is in Pennsylvania and not Oz, it seems the Tin Man has landed there and has his heart set on baking. Tin Man Sweets is an adorable bakery in that little town, just north of Pittsburgh. 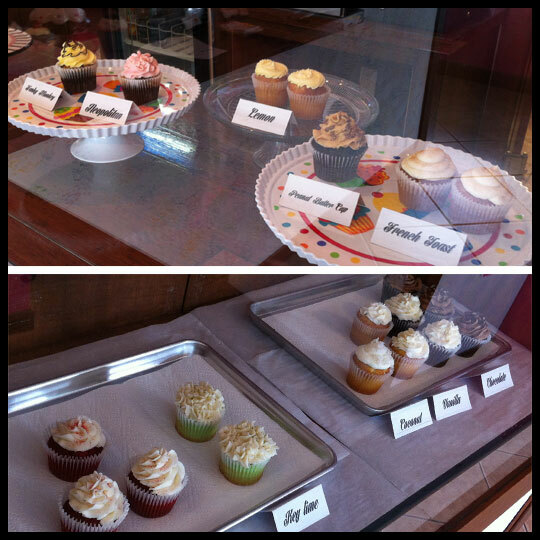 Named the number 2 cupcake in Pittsburgh, I knew they deserved a visit. My Nona’s 81st birthday in March was the perfect excuse to head up that way to hang out and eat cupcakes. The shop is full of baked goods; pies, muffins, donuts, bread, even gluten free options, but I only went home with 3 cupcakes to taste. 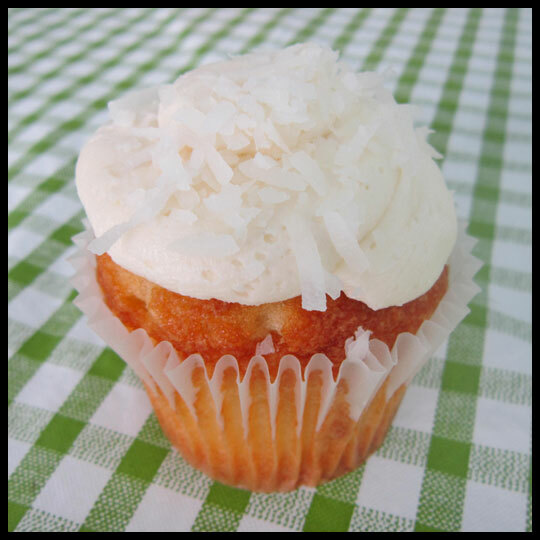 Standard flavors aren’t always my thing as I prefer more exciting combinations, but this cupcake was a vanilla masterpiece. The perfectly moist cake and smooth frosting were both bursting with vanilla flavor. My only issue with this cupcake was that it was gone in too few bites. 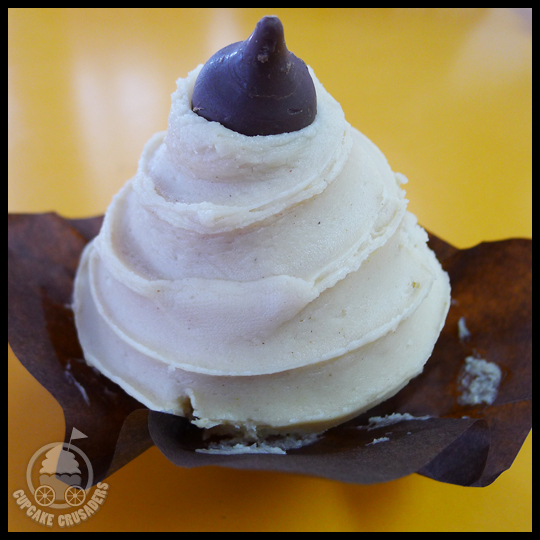 All three of the Crusaders like flavor combinations with peanut butter, and this cupcake wouldn’t disappoint any of us. Chocolate cake, so often, seems to be dryer and too sweet. 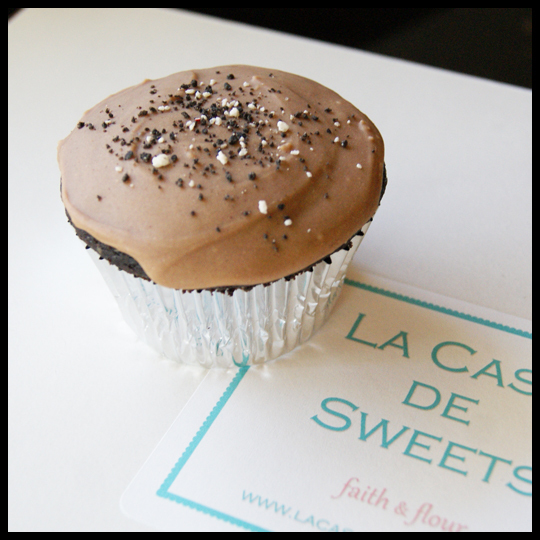 Not the case with this cupcake, it was simply sweet enough, moist, and very rich. 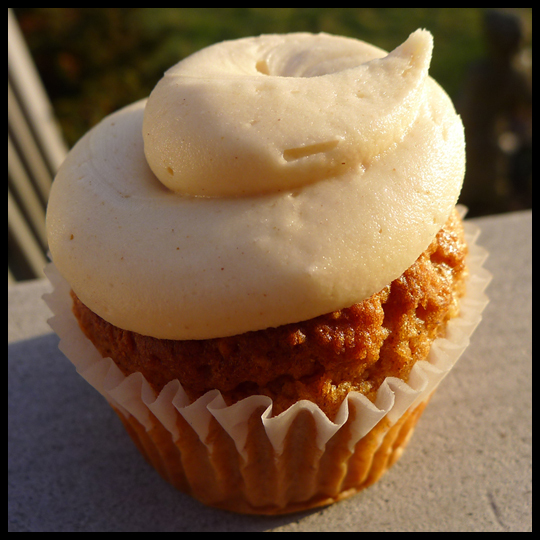 The peanut butter frosting was smooth and creamy with a punch of peanut flavor. Wow was I glad that I saved this cupcake to eat last. The banana cake was light and moist, unlike most which are dense and muffiny, and had true ripe banana flavor. 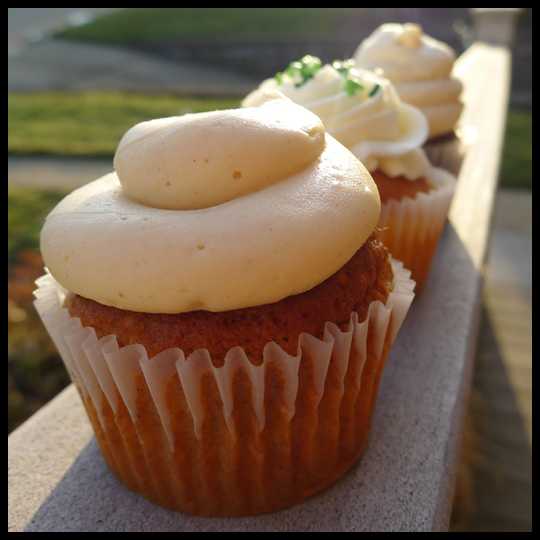 Paired with the same smooth peanut butter frosting, the flavor combination is one of my new favorites! 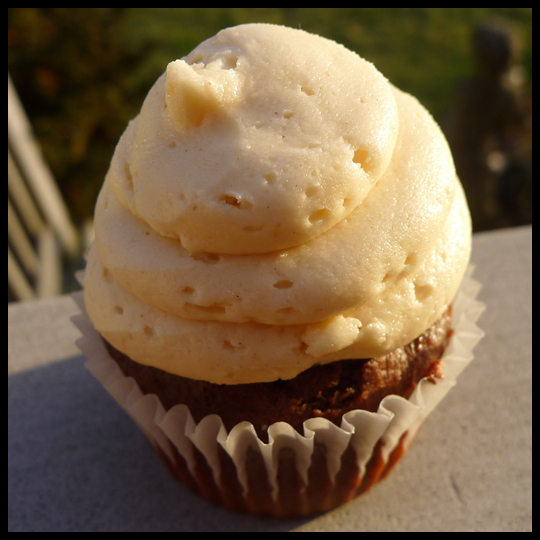 I liked this cupcake so much that I might have to try and make my own version of this cupcake for my next baking experiment! 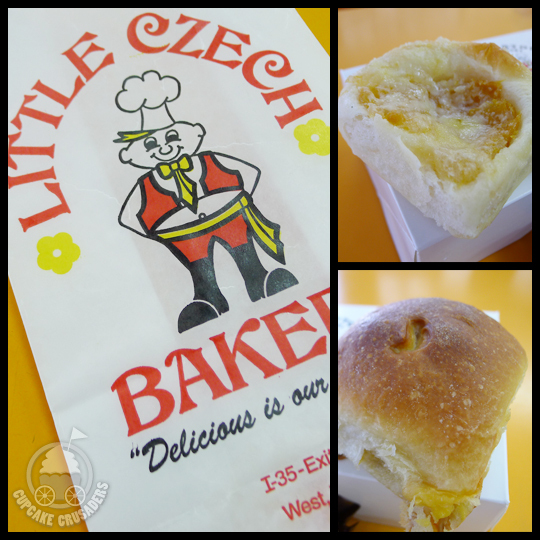 With a heart of gold, this bakery was worth the trip out to Evans City. 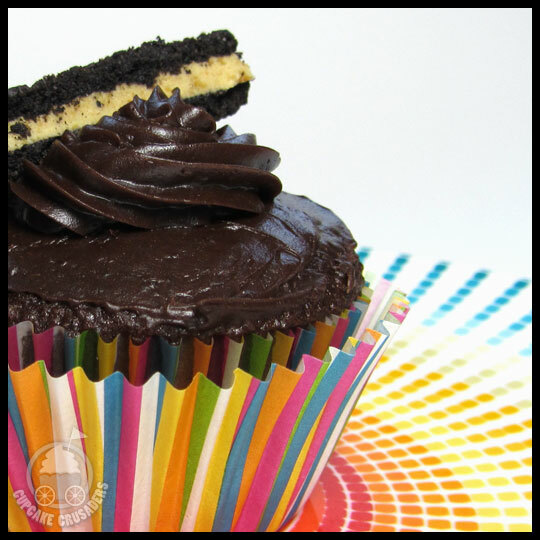 Moist cake, smooth frostings, and great flavor combinations made Tin Man Sweets cupcakes the perfect dessert for a visit with Nona. 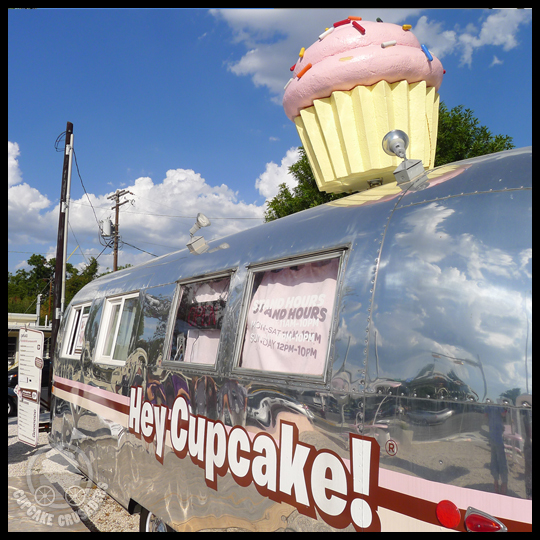 The next time I make the trip up that way I plan on stopping in and trying some of Tin Man’s other sweet offerings, as well as bringing back some cupcakes for Crusaders Jenn and Stacy to try! A couple of weekends ago I ran my very first full marathon! Running through Washington DC I tried to remember not too push too much and to enjoy the historic sites we were passing along the course. It obviously worked, because 26.2 miles later, I had completed the Marine Corps Marathon and I felt a great sense of accomplishment. 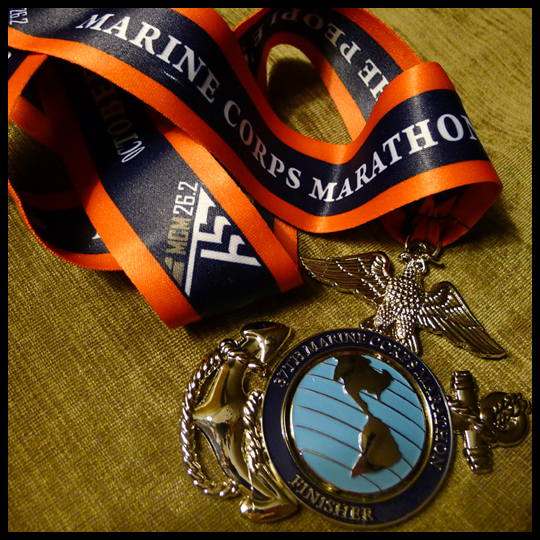 I’ve mentioned in the past how much fun it is to receive the medal at the end, and at this marathon’s end, a Marine placed the medal around my neck and saluted me. WOW. While running for just under 5.5 hours, I thought about a lot of different things and dessert kept popping up. I knew how I wanted to celebrate finishing the marathon—with cupcakes! After going back to my friend’s apartment in Arlington, to clean up and rest a bit (A very special thanks to my friend Kevin and his roommate for letting me stay overnight, a stone’s throw from the starting line) I hopped on my phone and searched for cupcake places close by that were still open on a Sunday night. My inner Crusader told me someone HAD to be open—sure enough Crumbs in Clarendon, VA didn’t let me down! I stopped in and the very helpful staff helped me pick out a couple of celebratory cupcakes (and I picked up a Chai Latte for the ride home). This cupcake looked and smelled amazing. 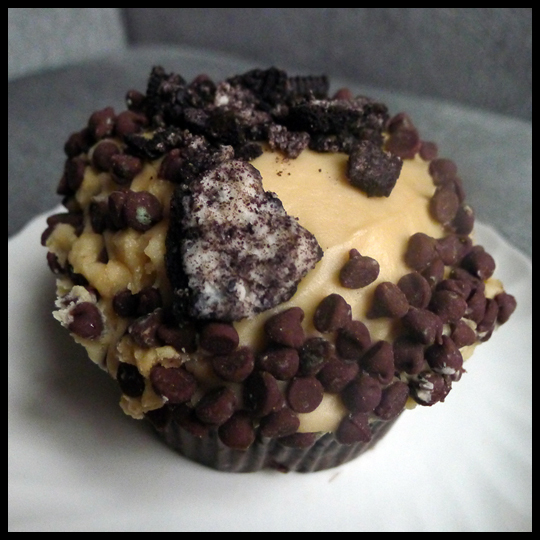 Chocolate chips, Oreo pieces, Baileys icing, and chocolate cake… yeah, I couldn’t think of anything better either. 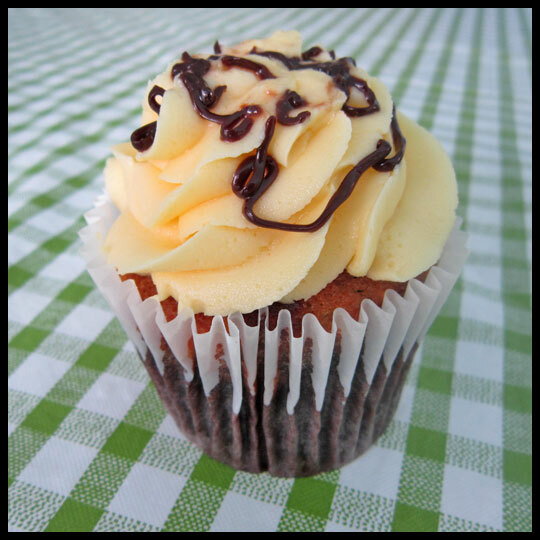 This cupcake was moist and flavorful, and tasted a bit like the drink it was named after, but mostly just tasted chocolatey. 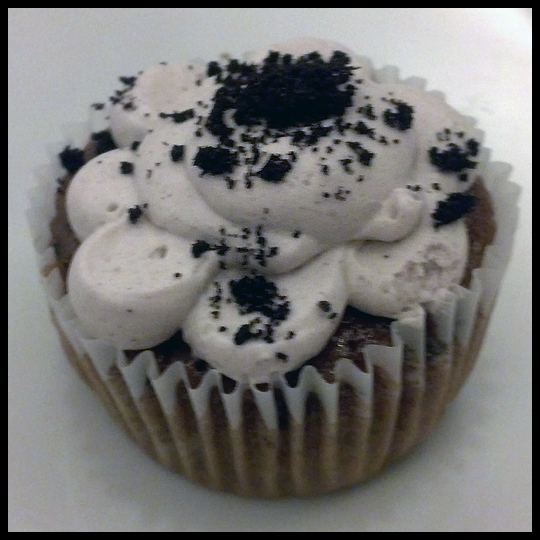 I’m not always a fan of chocolate chips on top, they can add an odd texture for me, but with this cupcake they worked. 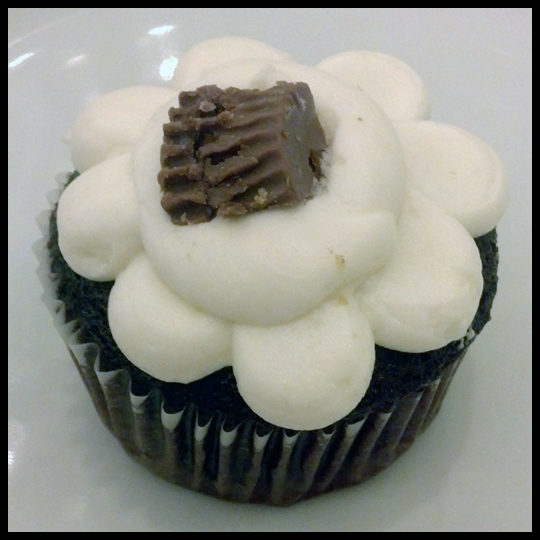 This cupcake looked like the yin to the Mudslide cupcakes yang… but carried its own flavor profile. 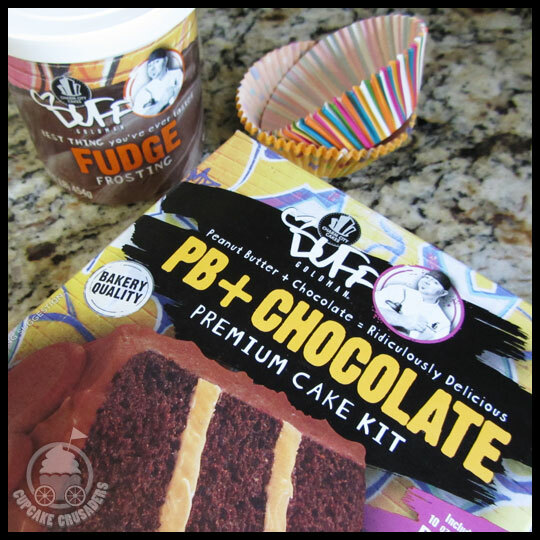 The peanut butter icing was perfect in taste and texture, the chocolate icing was the same, and the chocolate cake was rich and not too sweet. 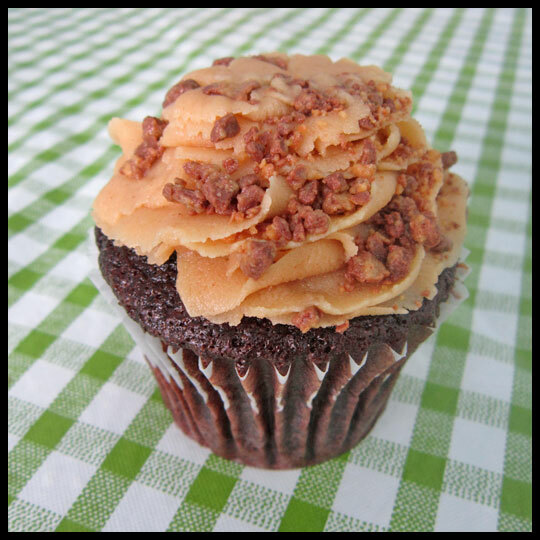 With this cupcake, the peanut butter chips added that extra hint of peanut flavor, which otherwise might have been overpowered by all the chocolate. 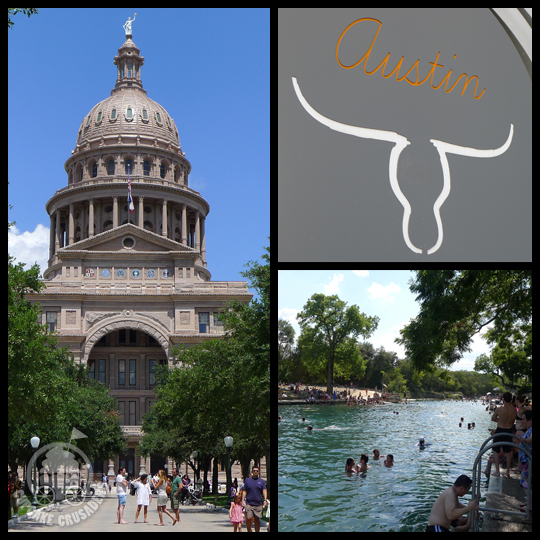 I learned two things that weekend: 1. Running a marathon is crazy… and I might just be crazy enough to do it again (and again). 2. 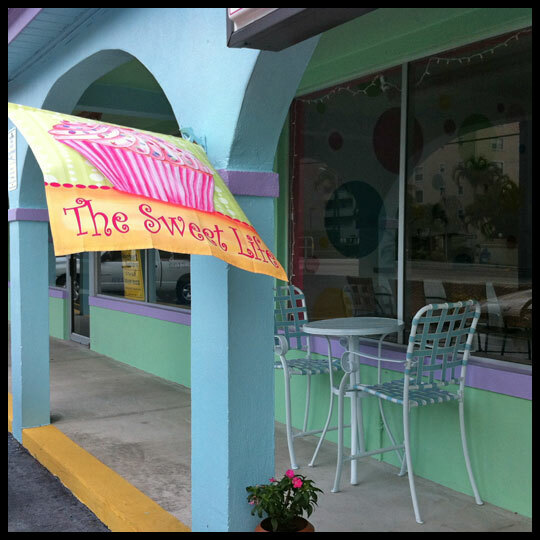 Always listen to your inner Crusader, because there WILL be a cupcake shop close by, that is open. And hopefully it will be as good as Crumbs was! Friend and Healthy Crusader Rebecca always has cupcakes on her mind. (Who doesn’t?) And the Crusaders are so lucky to have such wonderful friends and followers thinking of us, because even on a work trip to California, Rebecca couldn’t help but join in our cupcake crusade. Below is her review of Frosted Robin, located in San Diego. 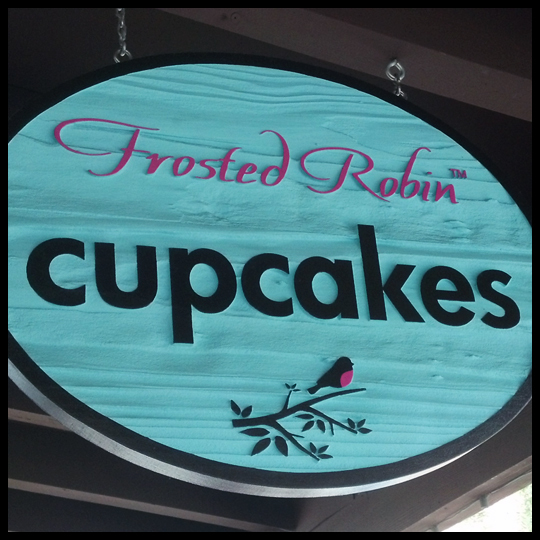 Another Guest Crusader, Julie, has also reviewed Frosted Robin, but we love getting different perspectives. Enjoy! 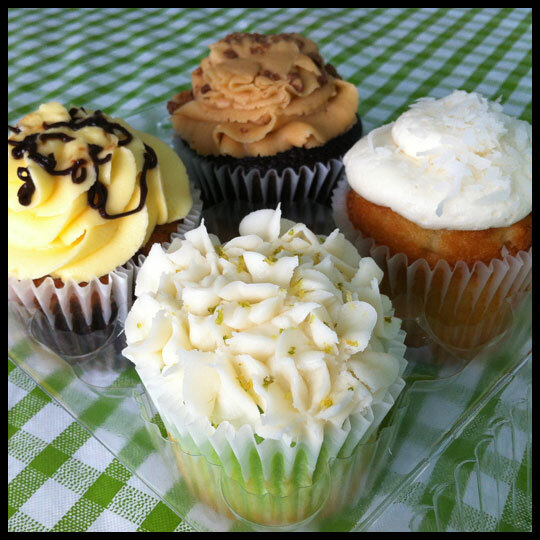 The following are our opinions on the flavors featured in our half dozen. 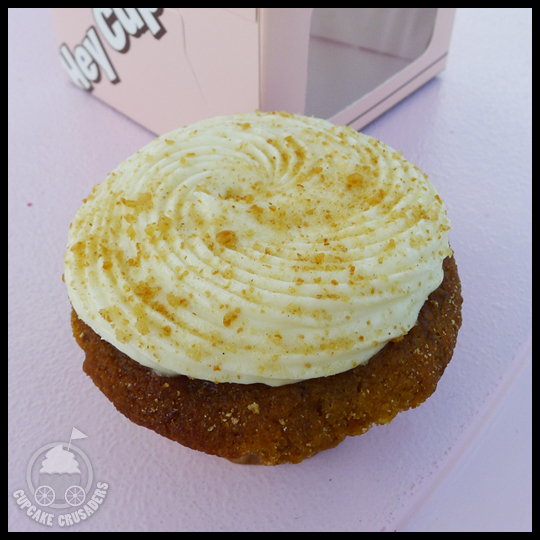 Cayman Spice – Coconut milk infused cinnamon and nutmeg cake, coconut buttercream icing and cinnamon sugar sprinkle. 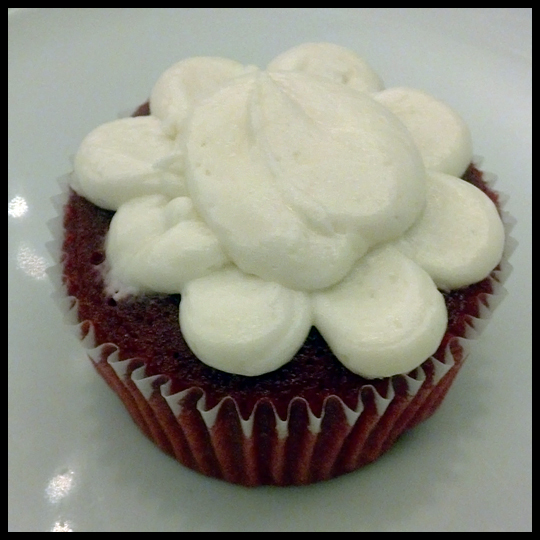 The red velvet was very bright in color but the cake did not have the rich, chocolate taste that it should. Though the cream cheese frosting was enjoyable, the cake overall was pretty bland. 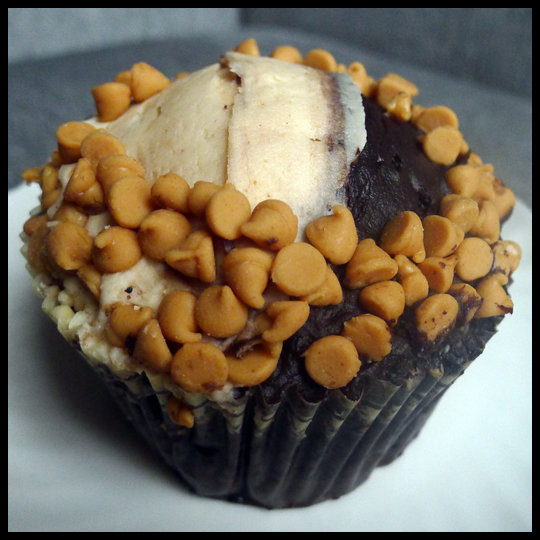 The cupcake packed a big peanut butter flavor and was my personal favorite of the group. The chocolate cake wasn’t as strong as it could have been to stand up to the peanut butter frosting, but this had a nice light texture. 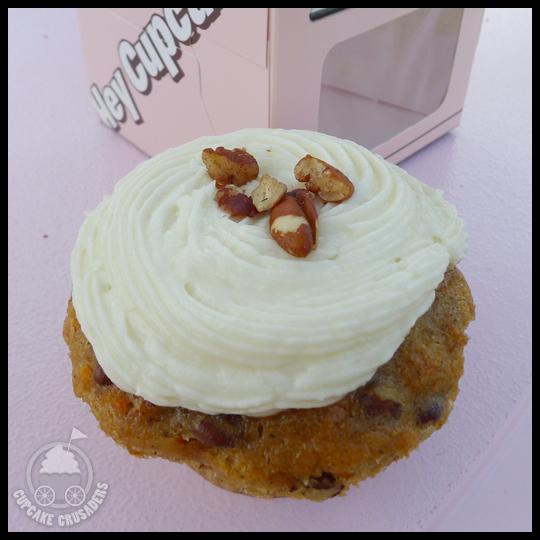 We were looking forward to this cupcake and it definitely delivered on the overall flavor of cookies and cream but, unfortunately, it was more of the Kellogg’s Cookie Crisp flavor than the “fresh-from-the-oven-at-Grandma’s-house” flavor. I usually like a LOT of lemon flavor in my lemon cake, so I would have liked a more intense flavor. 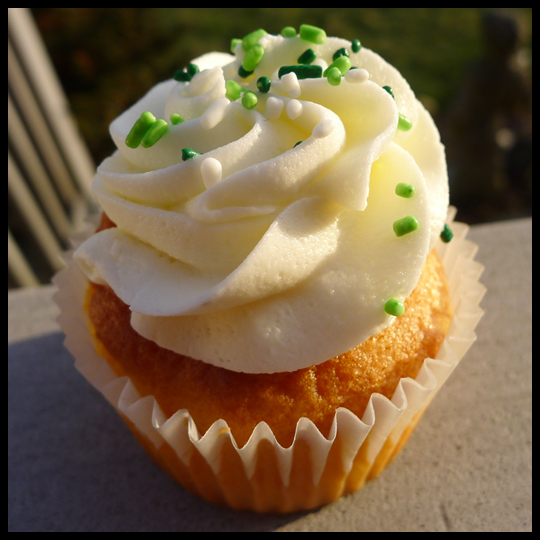 The frosting was light and the extra lemon touch on the top was very nice. 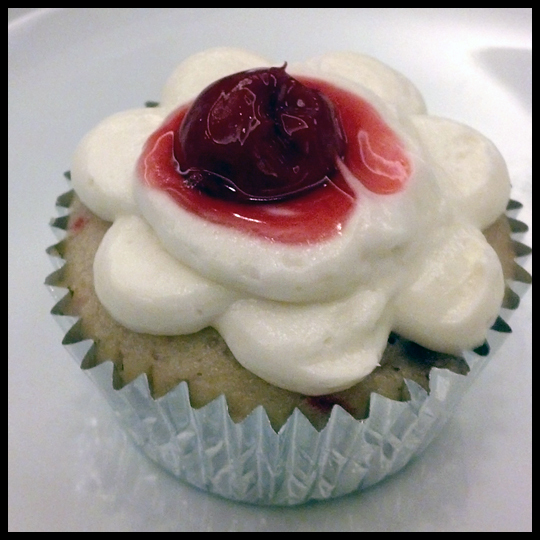 The cream cheese icing was delicious and the cherries were also in the cake, though it really was the cherry on top that tied this cake together perfectly. I found overall, that they were smaller cupcakes for their price – $3.23/each. The cakes were a bit dry, but the frosting helped to complete each of the flavors. My co-worker Chris also ordered one of their “Robin’s Eggs” cake truffles and found it to be delicious moist cake, wrapped in a chocolate coating. 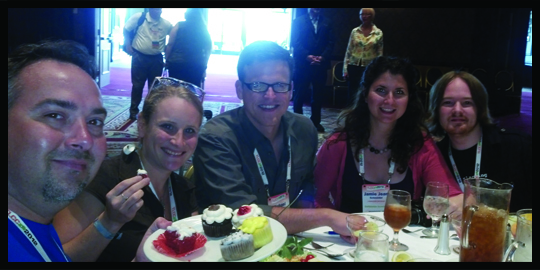 Special thanks to Rebecca and the Tessitura Tasting Crew!